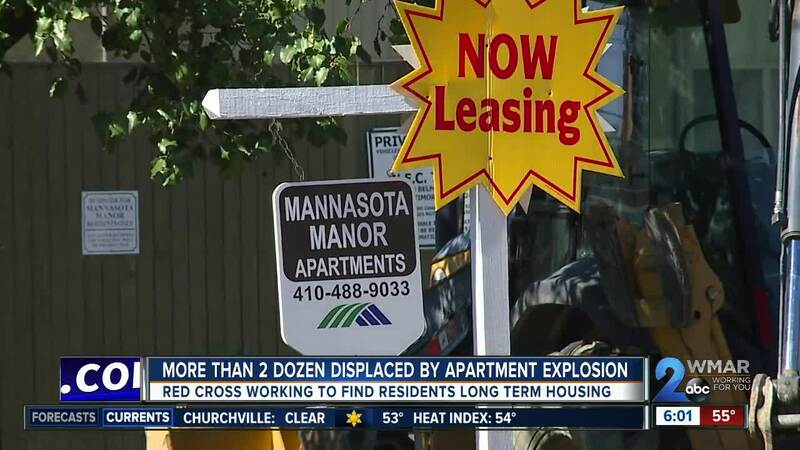 An explosion at a Northeast Baltimore apartment complex, likely causes by a gas leak, displaced several residents and left seven firefighters and two civilians injured. The blaze is now under investigation. 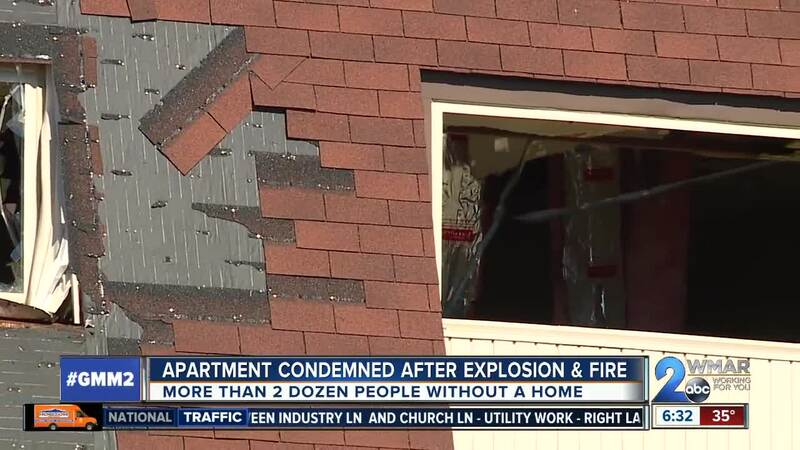 More than two dozen people were left without their homes after a gas explosion at an apartment complex in Northeast Baltimore on Wednesday. The American Red Cross of the Greater Chesapeake Region said they're working with Baltimore City's housing ombudsman to help residents find longer-term housing needs. Brenda Overbey was one of the families who returned to Mannasota Manor Apartments on Thursday to see what she could salvage from her unit. “When I got in there I just almost fell out to be honest with you because I looked at everything I've accomplished and I have nothing, I have nothing, I have nothing,” Overbey said. Her sister, Charlene, was by her side hoping they could collect some of Overbey’s items. If there's one saving grace, it's that Brenda Overbey is still alive. She said she's usually in her apartment around the same time the explosion happened, but yesterday she was out and found out from a friend. “Reisterstown plaza when she told me my building was blowing up. And she said she's seen two firefighters get blown out the building,” said Overbey. She feels heartbroken and blessed at the same time. Earlier this week, her bishop pulled her out of the crowd to say a prayer. Six of the seven firefighters injured on Wednesday were sent home. The seventh firefighter is being held overnight but is expected to be released on Friday. A 53-year-old who jumped out of a window remains in critical condition.